At the December 2017 elective conference of the African National Congress, the ruling party in South Africa, Mr Cyril Ramaphosa was elected as its new president. This culminated in the resignation of Mr Jacob Zuma as the president of South Africa in February 2018. The effect of these political events led to a change of the general outlook on South Africa after credit rating agencies downgraded South Africa to what is referred to as junk status during 2017. As a consequence of the resignation of Jacob Zuma and the inauguration of President Ramaphosa, Fitch Ratings stated that the 'resignation of Jacob Zuma as president of South Africa reduces the risk of policy paralysis'. Fitch Ratings says that Zuma's successor, Cyril Ramaphosa, will bring a greater focus to improving governance and strengthening economic and fiscal policy, which is likely to contribute to a recovery in business confidence and growth'.4 South Africa, however, remains one of the three largest economies in Africa. South Africa has, as at 31 March 2017, seen 2,499 filings for business rescue in terms of Chapter 6 of the Companies Act 71 of 2008 (the Act) since the Act came into law in South Africa on 1 May 2011. According its annual report as at 31 March 2017 on the website of the Company and Intellectual Property Commission (CIPC),5 for the period 2016–2017, a total of 373 business rescue proceedings were commenced, of which six filings were invalid and during which period 87 business rescue proceedings ended and 30 were placed in formal liquidation. This number was 22.5 per cent down on the 481 filings for the period 2015–2016. According to the most recent statistical release by Statistics South Africa,6 on 22 May 2017, the aggregate number of liquidations increased by 4.8 per cent (nine more liquidations) year-on-year in March 2018. Voluntary liquidations increased by eight cases and compulsory liquidations increased by one case during this period. There was an increase of 9.4 per cent in the first quarter of 2018 compared with the first quarter of 2017. Before 2011, under the Companies Act11 (the 1973 Companies Act) the only restructuring 'tool' available was to place a company under provisional liquidation and to then propose a scheme of arrangement or compromise in terms of the 1973 Companies Act. This section of the Act15 is titled 'Compromise with creditors', but also provides for an 'arrangement or a compromise' of its financial obligations to be proposed.16 Neither term is defined in the Act, but its meaning should be determined with reference to the equivalent procedure used under the prior Companies Acts. The aim of this section is, therefore, to also achieve the goals of 'business rescue' as defined, in furtherance of the Act's purpose of encouraging successful rescue of companies outside formal business rescue and also under winding up. Business rescue proceedings can be initiated on a voluntary basis by way of a resolution of the board of directors of the company to begin business rescue proceedings, and also on a compulsory basis by way of an application to court by an 'affected person' – a shareholder, creditor, the registered trade union representing employees or any of the employees of the company. Compulsory proceedings will commence if the court determines that there is a reasonable prospect of rescuing the business. In the first reported case for the compulsory business rescue of a company25 heard in 2011, the court dismissed the application with costs, on the basis that the application was an abuse of process by the applicant. In January 2013,26 the High Court converted formal liquidation proceedings to business rescue proceedings by giving effect to the legislature's preference to 'come to the aid of ailing companies' and found that there was reasonable prospect of rescuing the business of the company. The Act sets out certain procedural requirements that the company must comply with to ensure that the business rescue proceedings remain in place.27 After the board of directors' meeting, the resolution must be filed with CPIC, and only once the resolution has been filed do the business rescue proceedings commence. Within five business days thereafter, the company must publish a notice of the resolution to every affected person and appoint a duly licensed and qualified business rescue practitioner who has accepted the appointment in writing. Notice of this appointment must be filed within two business days.28 The notice to affected persons must include a sworn statement of the facts relevant to the grounds on which the resolution was founded. The Supreme Court of Appeal (SCA), however, set the Panamo Properties judgment aside in 2015 on appeal31 and held that non-compliance with procedural requirements did not automatically terminate business rescue proceedings. iii What avenues are open to challenge business rescue proceedings? To prevent abuse of voluntary business rescue proceedings, the Act34 provides that until the formal adoption of a business rescue plan,35 an affected person may, under the appropriate circumstances, apply to court for an order to set aside the board of directors' resolution to commence business rescue proceedings. The grounds for this is that there is no reasonable basis for believing that the company is financially distressed, there is no reasonable prospect for rescuing the company, or the company has failed to satisfy the procedural requirements specified in the Act. An affected person is also entitled to apply to a court for the setting aside of the appointment of the practitioner identified by the board on the grounds that he or she 'is not independent of the company or its management' or otherwise does not qualify for appointment. It is to be noted that where an affected person successfully challenges the appointment of a practitioner, the court will have the right to appoint the substitute practitioner who satisfies the requirements37 (i.e., being licensed) recommended by, or acceptable to, the holders of the majority of the independent creditors' voting interest who were represented in the hearing before the court. It is, therefore, imperative to ensure that the person appointed as the practitioner is truly independent of the company or its management. It has, however, become clear during the past six years since this legislation came into law that the time period for the publication of the plan and the three months' duration of business rescue proceedings is almost always unattainable and that an extension of this time period is almost always sought. Fortunately, the legislature provides for mechanisms to procure such extensions, and if these are not granted by creditors, it provides for the option of court intervention. The aim of this moratorium is to provide a company with breathing space pending a restructuring of its affairs. It was, however, held in the SCA47 that where a right to cancel an agreement had accrued prior to the commencement of proceedings that the subsequent cancellation is not 'enforcement action'. The SCA held that if cancellation is 'enforcement action', such steps would change the basic principles of the Law of Contracts, which provides for a unilateral act of cancellation in the case of a breach of contract. In a recent judgment,54 the court held that if 'the legislature had intended to limit the grant of leave to “exceptional circumstances”,55 that test would have been expressly stated'. The court then held that it is 'given wide powers not only to grant leave, but also to determine the terms on which such leave is granted'. A company in business rescue may dispose of property in the ordinary course of business and on a bona fide transaction at arm's length for fair value, approved in advance and in writing by the practitioner. Secured creditors are protected as, if the company wishes to dispose of any property over which another person has any security or title interest, the company must obtain the prior consent of the secured creditor. This applies where the proceeds of the realisation of the asset will not be sufficient to pay the secured creditor in full. If the proceeds of the disposal will realise more than the value of the amount outstanding to the secured creditor and if the secured creditor's debt will be fully discharged, such consent is not necessary. One of the cornerstones of a successful rescue or restructuring regime is the ability of the entity to procure new money for purposes of funding ongoing operations. Akin to debtor-in-possession (DIP) finance under Chapter 11 in the USA, the Act provides for the procurement of the funding on the basis that such a creditor would become a 'super-preferent' creditor subsequent to the proceedings. This finance ranks ahead of pre-commencement claims. The ability to obtain such finance is deemed to be the biggest obstacle in procuring the successful restructuring of any business. The sanctity of employees' contracts and the protection of their position is an important feature of business rescue. The Act provides that, despite a provision of any agreement to the contrary, during business rescue proceedings of a company, the employees continue to be employed by the company under the same terms and conditions that applied prior to the company being placed under business rescue. Where changes to the workforce occur in the ordinary course of attrition and where employees of the company, in accordance with applicable employment related legislation, agree different terms and conditions, such agreements would be enforceable. An important 'tool' at the disposal of a practitioner is to, upon being appointed, suspend the company's obligations in terms of certain contracts. This has become an important way to control the company's cash flow, especially under retail scenarios where rentals are payable. Directors of a company are not removed from office during business rescue proceedings. They continue to exercise their functions and remain in a fiduciary position towards the company, subject to the authority of the practitioner. Practitioners may only be appointed if they are members of a legal, accounting or business management profession accredited by CIPC. However, no such professional body has as yet been accredited. Between 2011 and 2015 practitioners were licensed on an ad hoc basis, in that they were required to apply for a licence in respect of each and every new matter where they were appointed as the practitioner. Since 2015, conditional licences have been issued to practitioners on the basis that they need not apply for ad hoc licences any longer. Practitioners may be removed by a court and upon a number of grounds, such as incompetence, failure to perform the duties, failure to exercise proper degree of care, engaging in illegal acts, no longer satisfying the requirements set out in the act, a conflict of interest, a lack of independence or being incapacitated. The process of determining the professional bodies to be accredited is ongoing. During the latter part of 2017 and during 2018 both the TMA (Turnaround Management Association) and SARIPA (South African Restructuring and Insolvency Practitioners' Association) were accredited by the South African Qualifications Authority as professional bodies for restructuring professionals and insolvency practitioners. The practitioner must investigate63 the company's affairs, business, property and financial situation to assess whether there is any reasonable prospect of the company being rescued, as contemplated in the Act. The practitioner has an obligation to report any contravention of any law, reckless trading, fraud, misappropriation of assets or any criminal activity, and is further obliged to rectify any contravention, including recovering misappropriated assets. The Act does not, however, equip the practitioner with the necessary powers to conduct formal enquiries or investigations. It is, therefore, questionable as to how the practitioner will be able to force recalcitrant parties to assist him or her with his or her investigations into the affairs of a company. This issue is yet to be determined by our courts. The Act specifically requires directors to cooperate with the practitioner, but it is as yet uncertain as to how the practitioner may enforce this. The practitioner may remove a director by way of an order of court. Creditors are entitled to be kept fully informed about all court proceedings, decisions, meetings or other relevant events, and may participate in any court proceedings.64 Although they are entitled to form a creditors' committee,65 such a committee does not have the powers that one would expect. The committee may consult with the practitioner about any matter relating to the proceedings, but may not direct or instruct the practitioner. The ultimate aim of the practitioner must be to develop and publish a plan for consideration by creditors and affected persons, if applicable. a statement of whether the plan includes proposals informally made by creditors. The plan must, furthermore, contain details of the proposals, assumptions made and conditions contained in the plan. an informal winding down of the company's affairs that entails the sale of assets and the pro rata distribution of the proceeds to creditors. Over and above basic information as required in terms of the Act, the plan may contain whatever the practitioner deems appropriate. There are further requirements, such as to provide a projected balance sheet and income statement for the company for the ensuing three years, together with a statement of the conditions that must be satisfied for the plan to come into operation and be fully implemented. In summary, plans may contain a myriad of proposals and the extent and nature of the proposal to creditors is not limited in any manner. The plan will be approved on a preliminary basis if approved by 75 per cent of the creditors' voting interest (i.e., the face value of their claims) present and voting at the meeting. Once that threshold has been obtained, more than 50 per cent of independent creditors (i.e., creditors that do not have a relation to the company, such as being connected to a shareholder or director) must also vote for the adoption of the plan. Once it has been adopted, the plan becomes binding on the company, its creditors and the shareholders. Dissenting creditors become bound by the plan. When the plan is substantially implemented, the practitioner must file a notice of the substantial implementation thereof, which then brings the proceedings to an end. If the plan proposes to alter the rights of shareholders, a meeting of the shareholders must be convened to vote on the approval of the plan. If a simple majority of the said shareholders approve the plan, it will be regarded as having been adopted. If they oppose it, the plan is regarded as having been rejected. Why did the legislature include this provision in the Act? It can only be to force recalcitrant creditors, who have inappropriately voted against a reasonable proposal that places them in a better position than under liquidation circumstances, to 'sell' their voting interest or claim to other affected persons at the determined liquidation value of such a claim. Our courts have, in a number of judgments, expressed differing views to what the SCA held in 2015 in the Kariba judgment70 – that the meaning of 'offer' is that only an acceptance of an offer creates a right and obligations. It held that a contract can only come into existence if there was an agreed or readily ascertainable 'price' at the time that the offer was made. The Kariba judgment does not necessarily affect the ability of affected persons to purchase the voting interest of a dissenting creditor in future, as this judgment was based on the actual facts pertaining to this case. The first step in this process is for the practitioner to obtain a proper independent and expert valuation of the underlying assets forming the subject matter of the proceeds likely to accrue to creditors upon liquidation. The practitioner in the Kariba matter relied on his own valuation and not an independent professional expert valuation. Furthermore, in Kariba the affected persons did not demonstrate that they had the financial means and ability to make an immediate payment in respect of the amount offered. Their 'offer' was not accompanied by the demonstration of immediate funding being available to make payment in respect of the offer. The SCA criticised the practitioner in the Kariba matter, who appeared not to have provided sufficient financial detail in his plan to enable a valuation of the liquidation value of the bank's voting interest to be ascertained. What would, therefore, be required in future, is for the practitioner to provide a detailed determination duly executed by an expert, as set out in the determination. The offer in the Kariba matter did not present the creditor with an opportunity to, in the face of an expertly determined valuation of its voting interest and likely liquidation outcome, consider the offer in a business-like manner. The criticism levelled at the practitioner in the Kariba judgment and the successful appeal related to an ill-conceived 'offer' without any amount attributed to the 'offer'. What is provided in the Act71 is that the holder of a voting interest may apply to a court to 'review, re-appraise and re-value a determination by an independent expert'. The legislature provided for this remedy to unlock a potential deadlock. If an offer has to be accepted before a legally enforceable contract to purchase a voting interest can come into existence, then, it can be asked, why would it be necessary to approach the court72 if consensus is necessary and an agreement has to come into existence on every occasion? The intention of this legislation is surely that an 'unhappy' holder of a voting interest who received and was bound by a properly determined 'binding offer' has only one remedy and option, and that is to approach a court to 'review, re-appraise and re-value a determination by an independent expert'. In the reported judgment in the SCA,76 the Court set aside a vote against a business rescue plan by a financial institution holding 29.8 per cent of the voting interest and where the vote for the adoption of the business plan by other creditors was 70.2 per cent as opposed to the required statutory majority of 75 per cent. The SCA held that it is not necessary to reconvene the meeting of creditors once a court ordered that the vote was inappropriate as the Act does not envisage that. When the vote is set aside by the court, it follows by operation of law that the business rescue plan would be considered to have been adopted without any further voting. Informal workouts are often initiated by the banking sector and conducted with banking officials serving on credit committees, which then, jointly with the distressed company's management or board of directors, embark upon a reorganisation of the company's affairs, with a view to turning its operations around. Instances of pre-packs in the context of South African law have been known. The company in distress and its creditors would agree to the terms of an arrangement akin to the business rescue plan agreed, and would then formally file for business rescue on a voluntary basis. The agreed pre-packed plan would then be formally published and adopted, whereafter the practitioner will be able to end business rescue proceedings swiftly. Not much has been published about these processes. The law regulating insolvency is substantially provided for in the Insolvency Act.78 The common law of insolvency, as contained in the Roman-Dutch sources, also applies insofar as it is not inconsistent with any legislation. The effect of insolvency is, however, not unified in a single piece of legislation. The Insolvency Act essentially governs the relationship between creditors and debtors in the insolvent estates of natural persons, trusts and partnerships. Insofar as legislation governing the insolvency of corporate entities such as companies and close corporations does not provide for a specific set of circumstances, the Insolvency Act still applies, as is explained below. In terms of the Act, the Close Corporations Act was amended, and close corporations that existed as at 1 May 2011 will remain in existence, but no new close corporations will be formed thereafter. Upon the liquidation of a company, the provisions of the aforementioned Chapter 14 of the 1973 Companies Act apply. However, insofar as Chapter 14 of the 1973 Companies Act does not deal with a specific set of circumstances, the provisions of the Insolvency Act apply mutatis mutandis. Upon the liquidation of a close corporation, insofar as the Close Corporations Act does not provide for a specific set of circumstances, the provisions of Chapter 14 of the 1973 Companies Act may apply mutatis mutandis, and insofar as the Chapter 14 of the 1973 Companies Act does not apply, the provisions of the Insolvency Act will apply. The law provides real security to be taken in the form of a mortgage, pledge, landlord's hypothec, tacit hypothec, right of retention or lien. Registering mortgage bonds confers security over immoveable property. Under insolvency, such creditors will be defined as 'secured creditors', as opposed to 'preferent'88 and unsecured (described as 'concurrent') creditors. Therefore, if the circumstances necessary for the commencement of business rescue exist and the board of directors do not adopt a resolution placing the company under business rescue, a failure to do so without notice to affected persons may have consequences for the company's directors.90 The Act91 provides that 'any person who contravenes any provision of this Act is liable to any other person for any loss or damage suffered by that person as a result of that contravention'. The Insolvency Act provides for the setting aside of impeachable transactions92 by the insolvency practitioner appointed in the insolvent estate of a natural person or a corporate entity. Dispositions without value93 made more than two years before the commencement of insolvency proceedings may be set aside under circumstances where the insolvency practitioner must prove that disposition of property was not made for value and it is proved that, immediately after the disposition was made, the liabilities of the insolvent exceeded his or her assets or, if it occurred within two years of the commencement and the person claiming under or benefited by the disposition is unable to prove that, immediately after the disposition was made, the assets of the insolvent exceeded his or her liabilities. Every disposition of property94 made by a debtor not more than six months before the commencement of insolvency that has had the effect of preferring one creditor above another, may be set aside by the court if immediately after the making of such disposition the liabilities of the debtor exceeded the value of his or her assets, unless the person in whose favour the disposition was made proves that the disposition was made in the ordinary course of business and that it was not intended, thereby, to prefer one creditor above another. Furthermore, if a debtor unduly prefers a creditor95 by disposing of property at a time when the debtor's liabilities exceed his or her assets, and it is proved that it was done with the intention of preferring one of his or her creditors above another, and the debtor is, thereafter, declared insolvent, the court may set aside such a disposition. If it is found that there were collusive dealings96 before the commencement of insolvency, a court may set aside such transaction entered into by the debtor, whereby the debtor, in collusion with another person, disposed of property belonging to him or her in a manner that had the effect of prejudicing his or her creditors or of preferring one of his or her creditors above another. Any person who was a party to such collusive disposition97 shall be liable to make good any loss thereby caused to the insolvent entity in question and shall pay, by way of penalty, such sum as the court may adjudge, not exceeding the amount by which he or she would have benefited by such dealing if it had not been set aside; if this party is a creditor he or she shall also forfeit his or her claim against the entity. No significant legislative developments have taken place during the past year since the promulgation of the Companies Act in 2011. The mining and manufacturing sector would appear to be the most significant and active industry insofar as the filing for business rescue is concerned. Some significant further significant retail filings98 took place involving, among others, the furniture, clothing and jewellery industries. South African companies are by and large isolated from international developments and the research conducted for this publication indicated that no significant developments or key cases under the EC Regulations or any other significant regulatory environment took place. South Africa has adopted the UNCITRAL Model Law by way of enacting the Cross-Border Insolvency Act 42 of 2000. However, this has so far, some 16 years later, failed to come into effect. This Act adapts the UNCITRAL Model Law on Cross-Border Insolvency, adopted in Vienna on 30 May 1997. The Cross-Border Insolvency Act will not take full effect, however, until the Minister of Justice has designated the foreign states in respect of which the Act will apply. South Africa is not a party to an appropriate international convention treaty on cross-border insolvency. Prior to 2000, there were regular workshops with a view to reforming the South African laws of insolvency, bearing in mind that the South African Insolvency Act dates back to 1936. In March 2003, the South African cabinet approved, in principle, 'the insolvency and business recovery bill' but nothing has transpired since. It would, therefore, appear that there is very little likelihood of the South African insolvency law being reformed in the near future. 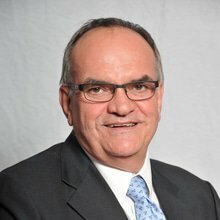 1 Hans Klopper is the national head of business restructuring at BDO Business Resctructuring (Pty) Limited. 2 www.imf.org – Reports for Selected Countries and Subjects (accessed 12 May 2018). 3 www.thebalance.com/what-are-the-fragile-five-1978880 (accessed 9 June 2017). 4 https://www.fitchratings.com (accessed 12 May 2018). 5 www.cipc.co.za – annual report (13 May 2018). 6 http://www.statssa.gov.za (accessed 13 May 2018). restructuring (accessed 13 May 2018). 8 In terms of Section 155 of the Act. 9 In terms of Sections 128–154 of Chapter 6 of the Act. 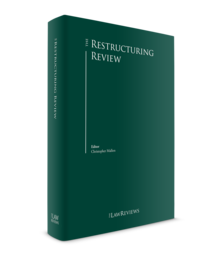 10 This is largely based on an article co-authored by the author hereof: Klopper & Bradstreet 'Averting Liquidations with Business Rescue: Does a Section 155 Compromise Place the Bar to High?' 2014 25.3 Stellenbosch Law Review 549. 11 Act 61 of 1973. 12 Levenstein E South African Business Rescue Prosedure, Issue I, October 2017, 3.3. 13 Section 129 of the Act. 14 Section 155 of the Act. 15 Section 155 of the Act. 16 This arrangement between a company and its creditors must be distinguished from the 'scheme of arrangement' between a company and holders of its securities under Section 114 of the Act. 17 Section 128(1)(b) of the Act. 18 Delport PA and Vorster Q, Henochsberg, on the Companies Act 71 of 2008, page 446. 19 Cape Point Vineyards (Pty) Ltd v. Pinnacle Point Group Ltd and Another 2011 (5) SA 600 (WCC) per Rodgers AJ. 20 Section 128(1)(f) of the Act. 21 Section 128 (1)(b) of the Act. 22 As envisaged in Section 129(1) of the Act. 23 Griessel and Another v. Lizemore and Others 2016 (6) SA 236 (GJ), Spilg J at page 258. 24 Griessel and Another v. Lizemore and Others 2016 (6) SA 236 (GJ), Spilg J at page 259. 25 Swart v. Beagles Run Investments 25 (Pty) Ltd 2011 (5) SA 422 (GNP), Makgoba J. 26 Cardinet (Pty) Ltd v. Wedgewood Golf and Country Estate (Pty) Ltd (in liquidation) and Others 19599/2012 30 January 2013 (WCC); Delport PA et al Henochsberg on the Companies Act 71 of 2008. 27 These requirements are set out in Sections 129(3) and (4) of the Act. 28 Section 129(3) of the Act. 29 Advanced Technologies and Engineering Company (Pty) Ltd (in Business Rescue) v. Aeronautique et Technologies 72522/2011 6 June 2012 (GNP) at paragraph 26; Madodza (Pty) Ltd (In business rescue) v. ABSA Bank Ltd 38906/2012 15 August 2012 (GNP) at paragraphs 24 and 25. 30 Nel NNO and Another v. Panamo Properties (Pty) Limited and Others (56399/2013)  ZAGPPHC 591 (13 May 2014). 31 Panamo Properties (Pty) Ltd and Another v. Nel and Others NNO 2015 (5) SA 63 (SCA). 32 Panamo Properties (Pty) Ltd and Another v. Nel and Others NNO 2015 (5) SA 63 (SCA) at pages 65–66. 33 Section 129(6) of the Act. 34 Delport PA and Vorster Q Henochsberg on the Companies Act 71 of 2008, page 464. 35 Section 130(1) of the Act. See also, African Banking Corporation of Botswana v. Kariba Furniture Manufacturers (Pty) Ltd and Others  4 All SA 432 (GNP) Paragraphs 56 and 62. 36 Investec Bank Ltd v. Bruyns 2012 (5) SA 430 (WCC); Blue Star Holdings (Pty) Ltd v. West Coast Oyster Growers CC 2013 (6) SA 540 (WCC) and Standard Bank of South Africa Ltd v. Gas 2 Liquids (Pty) Ltd 2017 (2) SA 56 (GJ). 37 Section 138 of the Act. 38 Section 132 of the Act. 39 Section 129(3) of the Act. 40 Section 150(5) of the Act. 41 Section 132(3) of the Act. 42 Section 133 of the Act. 43 Section 133 of the Act. 44 Van Zyl v. Euodia Trust [Page 478(5)] (Edms) Bpk 1983 (3) SA 394 (T) at 397 as to mean: 'the ordinary meaning of legal proceedings in the context of s 13 ['regsgeding' in the signed Afrikaans version] is a law suit or 'hofsaak',' a definition accepted in Lister Garment Corporation (Pty) Ltd v. Wallace NO 1992 (2) SA 722 (D) at 723; The test in the Van Zyl case supra was accepted in Chetty t/a Nationwide Electrical v. Hart NO and Another (12559/2012)  ZAKZDHC 9 (25 March 2014). 45 The Chetty (a quo) case was reversed on appeal in Chetty t/a Nationwide Electrical v. Hart and Another NNO 2015 (6) SA 424 (SCA) . 46 Delport PA and Vorster Q, Henochsberg on the Companies Act 71 of 2008. 47 Cloete Murray and Another NNO v. FirstRand Bank Ltd t/a Wesbank 2015 (3) SA 438 (SCA). 48 Kythera Court v. Le Rendez-Vous Café CC 2016 (6) SA 63 (GJ). 49 Section 133(1)(a) of the Act. 50 Section 133(1)(b) of the Act. 51 Booysen v. Jonkheer Boerewynmakery (Pty) Ltd and Another 2017 (4) SA 51 (WCC). 52 Merchant West Working Capital Solutions (Pty) Ltd v. Advanced Technologies (Pty) Ltd and Another,  ZAGPJHC 109, decided on 10 May 2013; Redpath Mining SA (Pty) Ltd v. Marsden NO and Others  ZAGPJHC 148 decided on 14 June 2013; Msunduzi Municipality v. Uphill Trading 14 (Pty) Ltd & Others  ZAKZPHC 64 decided on 27 June 2014; Elias Mechanicos Building and Civil Engineering Contractors (Pty) Ltd v. Stedone Developments (Pty) Ltd and Ors 2015 (4) SA 485 (KZD). 53 Safari Thatching Lowveld CC v. Misty Mountain Trading 2 (Pty) Ltd 2016 (3) SA 209 (GP). 54 Arendse and Others v. Van der Merwe and Another NNO 2016 (6) SA 56 (GJ). 55 As was held in Redpath Mining SA (Pty) Ltd v. Marsden NO and Others. 56 Section 134 of the Act. 57 Section 135 of the Act. 58 Section 136 of the Act. 59 Section 137 of the Act. 60 Section 140 of the Act. 61 Subject to Section 140(2) of the Act. 62 Sections 138 and 139 of the Act. 63 Section 141 of the Act. 64 In terms of Section 145 of the Act. 65 Section 149 of the Act. 66 Section 150(1) of the Act. 67 Section 150 of the Act. 68 Section 151 of the Act. 69 Section 153(1)(b)(ii) of the Act. 70 African Bank Corporation of Botswana v. Kariba Furniture Manufacturers & Others (228/2014)  ZASCA 69 (20 May 2015). 71 Section 153(6) of the Act. 72 As is provided for in terms of Section 153(6) of the Act. 73 Section 153(1)(a)(ii) of the Act. 74 Section 153(1)(b)(i)(bb) of the Act. 75 Section 153(7) of the Act. 76 FirstRand Bank Limited v. KJ Foods CC (In business rescue) 2017 (5) SA 40 (SCA). See also Collard v. Jatara Connect (Pty) Ltd (23510/2016) [2017} WCC (14 March 2017) where a vote against business rescue plan for ulterior purposes was set aside by the court. 77 Bertelsman E, Evans RG, Harris A, Kelly-Louw M, Loubser, Roestoff M, Smith A, Stander L, Steyn L, Mars: The Law of Insolvency in South Africa, Ninth Edition. 78 Act 24 of 1936. 79 Act 69 of 1984. 80 Act 71 of 2008. 81 Act 61 of 1973. 82 Section 224(1) of the Act. 83 Schedule 5, Paragraph 9 of the Act. 84 Walker v. Syfret NO 1911 AD 141. 85 Du Bois F: Wille's Principles of South African Law, Ninth Edition, page 630. 86 Security by means of Moveable Property Act 57 of 1993. 87 Mostert H, Pope A: The principles of the law of property in South Africa, page 295. See also, the definition of 'security' in Section 2 of the Insolvency Act 24 of 1936. 88 See the definition of 'preference' in Section 2 of the Insolvency Act 24 of 1936. 89 Section 129(7) of the Act. 90 Section 22 of the Act. 91 Section 218(2) of the Act. 92 Bertelsman E, Evans RG, Harris A, Kelly-Louw M, Loubser, Roestoff M, Smith A, Stander L, Steyn L, Mars: The Law of Insolvency in South Africa, Ninth Edition, page 248. 93 Section 26 of the Insolvency Act. 94 Section 29 of the Insolvency Act. 95 Section 30 of the Insolvency Act. 96 Section 33 of the Insolvency Act. 97 Section 33(2) of the Insolvency Act. 98 Ellerines, Platinum Group and Galaxy Jewellers. 99 Bertelsman E, Evans RG, Harris A, Kelly-Louw M, Loubser, Roestoff M, Smith A, Stander L, Steyn L, Mars: The Law of Insolvency in South Africa, Ninth Edition, page 630.